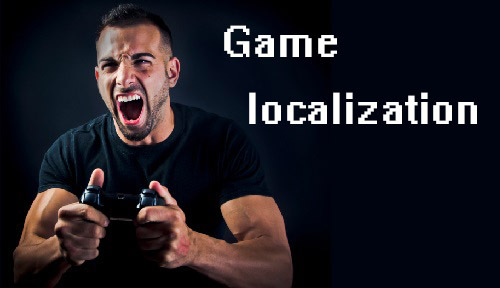 Game localization is a process of adapting the game for a specific region or country. The game localization process involves translation of text, localization of any graphics, recording of new audio in the required language, and sometimes even cutting whole sections of the game because of cultural sensitivities and local laws. Another big part of game localization is the translation of documents, manuals and instructions, as well as creating new marketing campaigns. Why localize a game? Not everyone in other countries knows and understands English well, so game localization offers potential profits that can be targeted in a new region or country. This involves the translation of subtitles, manuals, packaging, the official website, and translation of heroes' voices for the subsequent voice-over. Texts and other formal game content can be translated by professional translators, provided by game localization companies, or sometimes by the game producers themselves, if they have a huge budget. When talking about a visual translation, we refer to translation of the user interface and graphic art. This step involves not just translation, but a subsequent voice-over, performed by experienced voice artists. First off all, you need a good script translator and a proofreader (who knows the gamers' language firsthand). Sometimes, due to cultural differences or for legal reasons, some parts of a game may be cut. Or occasionally, in very rare circumstances, gameplay is taken under revision. When a game producer launches in a new market, they need not only to localize the game and documents and adapt them to new countries, but also to consider the way they are going to promote it. The means of advertising that are used in one country do not always conform to the customs of the new countries. For example, bright and colorful Internet banners can attract the attention of an audience of one country, but at the same time can be left unnoticed by potential consumers in another country. When you think the game is localized and is ready to be presented in new markets – test it. This is an essential step in the localization process of every game, because it reduces the risk of something being forgotten or wrong, and ensures that the game can be launched successfully. The components mentioned above are not enough to successfully localize a game. Everybody engaged in this very important process should be crazy about games. Without a love for games, nothing happens.